Our friendly and knowledgeable patient account representatives in our business office are here to help you understand your bill as well as access financial assistance if needed. Coquille Valley Hospital will submit claims directly to your insurance company for payment. Our registration personnel will ask you for your insurance information each time you visit. Providing complete insurance information at the time of registration will assure your account is billed correctly. Once all insurance payments are applied to your balance, you will receive a statement notifying you of the amount you owe. Regardless of insurance coverage, patients are ultimately responsible for payment of their medical bills. Payment of all known deductibles, co-payments, and non covered services for pre-scheduled procedures and admissions will be requested prior to services being rendered. Below is a list of health insurance plans with which we contract. The list above represents insurance companies we most commonly bill on behalf of our patients. This list is subject to change and may not include all insurances we bill. We offer several payment options, including revolving payment plans and/or loan options to patients unable to pay their hospital charges in full. Monthly payment plan offered through Access One Financial, subject to a minimum payment schedule and applicable interest for payment plans over 24 months. As a charitable organization, Coquille Valley Hospital provides medically necessary services for free or at a reduced cost for patients that qualify under Coquille Valley Hospital's financial assistance program. The amount of financial assistance that a patient receives under CVH's financial assistance program varies depending upon individual financial circumstances. If you have questions or need help filling out the Financial Assistance Application, you can contact the CVH Business Office at: (541) 824-1254. The Patient Financial Services Department is available to help Monday through Friday from 8:30 a.m. to 5:00 p.m. Please call (541) 396-3101. Payment in full. We accept cash (in person only), check (please list your encounter number on the check), money order (please list your encounter number on the money order), or major credit card (Visa, MasterCard or Discover). Monthly payment plan through Access One, subject to a minimum payment schedule and applicable interest for payment plans over 24 months. As a charitable organization, Coquille Valley Hospital provides medically necessary services free or at a reduced cost to uninsured or underinsured patients who qualify under CVH's financial assistance program. The amount of financial assistance that a patient receives under CVH's financial assistance program varies depending upon individual financial circumstances. Please contact our business office for assistance at (541) 396-3101. What am I responsible to pay when I visit the hospital? Your insurance will probably include a cost sharing feature where you pay a portion of the fee for the cost of medical care after the deductible has been satisfied. Deductible - A fixed dollar amount that must be paid prior to eligibility for payment of covered services. Co-pays - Members pay a fixed dollar amount, for example, $20 for outpatient office visit, and $50 for an Emergency Room visit. Co-Insurance - Members pay a fixed percentage of the cost. For example, the patient pays 20% and the insurance company pays 80% of the allowed amount. Why am I getting a bill months after I was treated? Some insurance plans take up to 90 days or more to pay a claim. The patient is not sent a statement until your insurance has processed your claim. Why am I receiving correspondence from Resolution Resource? Resolution Resource is an extension of our hospital, and operates on behalf of Coquille Valley Hospital to send statements and manage payment arrangements. They are not a collection agency. Assignment of Benefits: The transfer of the right payment of insurance benefits to be paid directly to the health care provider of service. Birthday Rule (COB): Used to determine primary and secondary coverage for children. The birthday rule refers to only the month and day in a calendar year, not the year in which the parent was born. If the parents are not separated/divorced, the insurance of the parent whose Birthday occurs first in a calendar year is considered the primary insurance. Contractual adjustment: The difference between the insurance companies contracted rate of payment with the provider and the amount of the charge. Co-payment: The amount you are expected to pay (such as amount for each physician visit) as determined by your health insurance policy. Deductible (DED): The amount the insurance company assigns as patient liability prior to their calculation of insurance payment amount. Medicare Supplement: A private insurance policy to help pay the balance covered charges after Medicare benefits payment. Non-covered services: Charges/services that the insurance company determines is a cost they do not consider for payment. These charges/services are normally the responsibility if the patient/guarantor to pay. Out-of-Network: Most managed care insurance plans are contracted with a specific group of health care providers of service. If a patient requests health care outside this specific provider group with a provider not contracted to provide care, the patient/guarantor may be financially responsible for some or all of the cost of the care received, depending on the determination made by the insurance carrier. Normally, exception is made to this rule for emergency medical care. Preferred Provider Organization (PPO): Health care plans that allow patients to direct his/her own healthcare. The patient can self-refer within the network of contracted providers. He will be responsible for deductible and normally a percentage of the allowable benefit amount. The patient may choose to go outside the PPO network to receive care and be responsible for higher deductibles and out-of-pocket amounts. The patient is responsible for obtaining authorizations for some types of services. Primary Care Physician (PCP): Many insurance plans require members to choose or be assigned to a PCP who is responsible for providing or authorizing all medical care for the patient. Referral: A physician's medical order for consultation/services for the patient with a specialist. Self-Pay: Patients who do not have insurance or those who are not approved to seek services at a particular health care provider are considered a self-pay patient who is expected to pay for the medical services they receive. Subscriber/Insured: The person who is enrolled for benefits with the insurance company, either under group plans, private or governmental agencies. UB04 and 1500 Claims Forms: Federally mandated insurance claim forms used to bill medical bills to insurance payer. The UB04 form is used for hospital/clinic technical charges billing. The 1500 claim form is used for physician professional charge billing. Price transparency can be confusing at times, especially when it comes to healthcare. A major difficulty is that the hospital price is not the actual cost of the out-of-pocket costs for healthcare services that patients will receive. It depends on their insurance coverage. A chargemaster is a comprehensive list of charges for each inpatient and outpatient service or item provided by a hospital. It is not a helpful tool for patients to comparison shop between hospitals or to estimate what healthcare services are going to cost. The payment amount that hospitals receive for patient care do not necessarily reflect the prices in the chargemaster. If you have private insurance and are interested in understanding what your "out-of-pocket" costs may be for the care you receive at the hospital, your health care insurance company will be in the best position to help you understand these costs, and we encourage you to contact them. We offer a discount for patients who do not have health insurance coverage and uninsured patients may be eligible for financial assistance through the Financial Assistance Program. At our hospital, all patients will be treated fairly and with respect during their treatment, and regardless of their ability to pay for the services they receive. Patients without insurance will be offered reasonable payments and payment schedules and, subject to their acceptance offer, will be billed at discounted local market rates. CVH offers assistance to qualify for Hospital Presumptive Eligibility or standard OHP coverage. Our staff provides application assistance for both programs. In general, the treatment plan can introduce various levels of complexity that include the patient's insurance plan, specific benefits chosen by the patient; any specifics between the hospital and the insurance plan, length of time spent in the hospital or facility, additional diagnostic tests, lab work, or procedures needed; or any other unforeseen conditions or circumstances that arise during your care or recovery. All of these factors can impact the out-of-pocket costs to each patient. We are committed to providing price information to our patients. 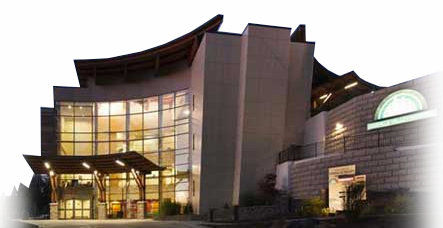 Coquille Valley Hospital provides individualized cost estimates for all services, upon request.